We from Hotel Jyoti Deluxe: New Delhi invites you to our Hotel (a Division of Garg Group of Hotels). It is a Two Star budget Hotel. It is located in Karol Bagh. We provide a feeling of home away from home with the help of our professional staff by offering personalized service to our guest. Our Hotel places the utmost importance to the privacy of our guest. We are offering you 42 luxurious & well appointed rooms. We provide ample number of car parking facilities. Our Hotel is known for personalized & refined atmosphere. 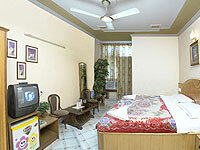 Budget Hotels in New Delhi We offer delhi hotels booking, Delhi is famous for its warmth and variety of places. 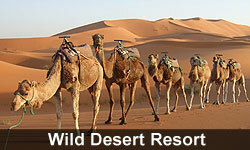 Cheap accommodation in Delhi has never been a problem for the travelers. Hotel Jyoti Deluxe and Hotel Jyoti Deluxe are one of the most easy to get to budget hotels in New Delhi that offers 3 star facilities for valuable customers. We have 57 rooms in both hotels and have a well-prepared conference room and a restaurant that serves multi cuisine foods as per your requirement. The rooms and suites of this luxurious and spacious budget hotel in New Delhi will take you to a world of subtle elegance and ambience and an unforgettable experience. Experience the fine art of hospitality at our budget hotels in Delhi. We go the extra mile to make sure you have a great time in India. 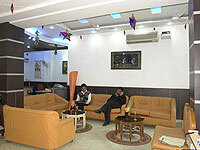 We offer beautiful facilities as compared to other delhi budget hotels.